Only select owners of Red Dead Redemption 2 will get first crack at the Red Dead Online beta. The beta for Red Dead Online is scheduled to begin tomorrow, November 27 and many Red Dead Redemption 2 owners have been wondering how to access said beta. Right now, only gamers who shelled out the extra money to purchase the Ultimate Edition of Red Dead Redemption 2 can jump into the Red Dead Online beta tomorrow. Of course, full beta access will roll out shortly after the early beta period ends for owners of the Red Dead Redemption 2 Ultimate Edition. The beta for Red Dead Online will launch tomorrow, November 27 for gamers who purchased the Ultimate Edition of Red Dead Redemption 2 before rolling out to all players on Friday, November 30. As stated above, the beta period for Red Dead Online will begin tomorrow, November 27. Launch times are 5:30 a.m. (PDT), 8:30 a.m. (EDT), 1:30 p.m. (GMT), and 2:30 p.m. (CEST). Only gamers who purchased the Ultimate Edition of Red Dead Redemption 2 will be able to jump into the beta on November 27. After a small window of beta exclusivity, the Red Dead Online beta will open up for all Red Dead Redemption 2 owners starting Friday, November 30. 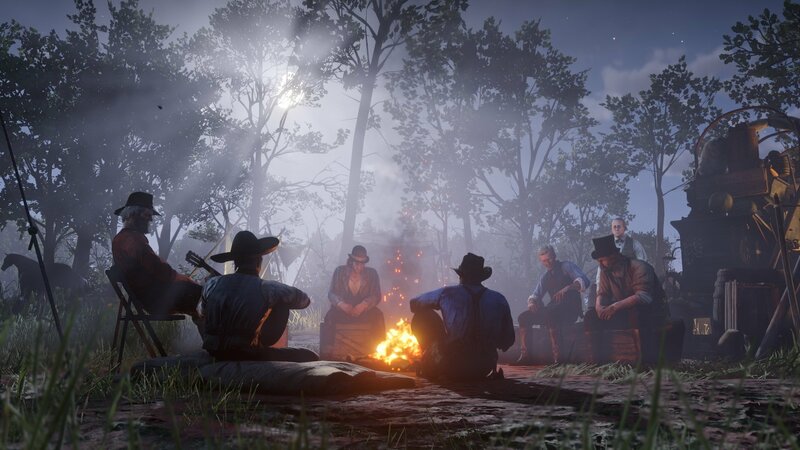 To access the Red Dead Online beta, you’ll want to familiarize yourself with the online features section of the Red Dead Redemption 2 home screen. 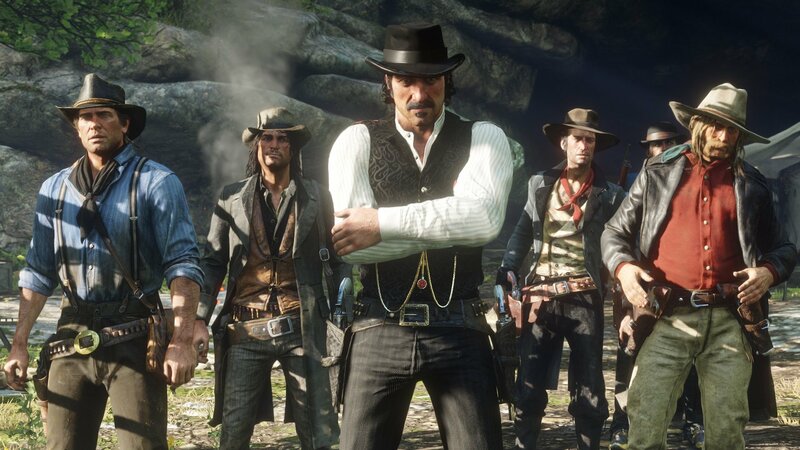 Note that Red Dead Online is accessed separately from the game’s campaign. It’s likely that you’ll need a subscription to your console’s multiplayer services such as PlayStation Plus or Xbox Live to utilize Red Dead Online. Wondering when you can try Red Dead Online out for yourself? Below, you’ll find the full beta schedule for Red Dead Online (courtesy of Variety)! November 27: Beta for Red Dead Online opens, only available to gamers who purchased the Ultimate Edition of Red Dead Redemption 2. November 28: Beta for Red Dead Online opens to gamers who started playing Red Dead Redemption 2 on October 26. November 29: Beta for Red Dead Online opens to gamers who started playing Red Dead Redemption 2 from October 26 through October 29. November 30: Beta for Red Dead Online opens to all gamers regardless of copy purchased or original start date. The beta for Red Dead Online will act as a separate component to the game that mixes multiplayer features with the world and gameplay mechanics of Red Dead Redemption 2. Sarwar went on to note in his interview with IGN that, “Players will be able to explore alone, or easily join with friends or other players to compete or work together.” From the descriptions available, Red Dead Online sounds reminiscent of GTA Online which launched in October of 2013 for Grand Theft Auto V.
Of course, given that 5 years have passed since that time, Rockstar will undoubtedly have a few new surprises up their sleeve. To get a better idea as to what you can expect from Red Dead Online, be sure to check out our previous feature on the subject. Additionally, mark your calendar for the beta release date of Red Dead Online starting tomorrow, November 27. Are you excited to check out the beta for Red Dead Online? Did you purchase the Ultimate Edition, or will you have to wait for the full beta rollout on Friday, November 30? Let us know down in the comments below! By reading through this guide, you should now know how to access the beta for Red Dead Online.